Advancements in data management technology are enabling retailers to reinvent themselves to rapidly respond to changing customer expectations. In this session we will look at how Big data and streaming analytics allows retailers to derive insights from data generated by new technology deployed instore and online to offer unique and compelling customer experiences across all channels. 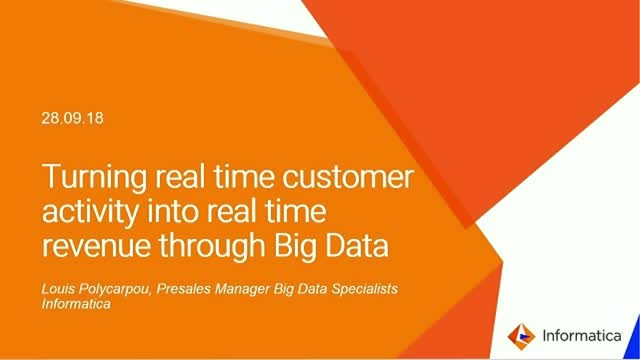 Louis Polycarpou shares his knowledge of how big data management and streaming technologies are being used within the retail sector to better engage consumers and boost profits.